The wonders of Epsom salt have been well known for hundreds of years and, unlike other salts, has beneficial properties that can soothe the body, mind, and soul. Some of the countless health benefits include relaxing the nervous system, curing skin problems, soothing back pain and aching limbs, easing muscle strain, healing cuts, treating colds and congestion, and drawing toxins from the body. One of the simplest ways to ease stress and stress-related problems is to soak in a tub full of hot water with a few cups of Ultra Epsom® Salt. Here you can find some of the notable benefits of Epsom salt. Stress drains the body of magnesium and increases levels of adrenaline. 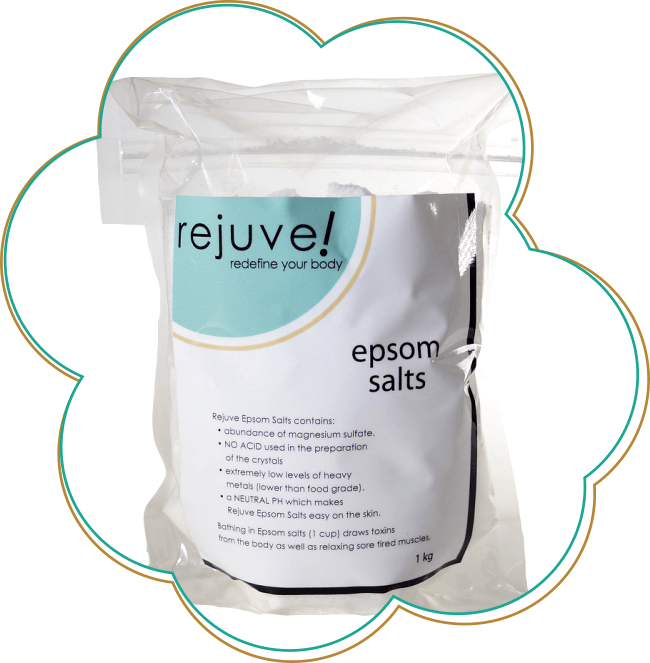 When dissolved in warm water, Epsom salt is absorbed through the skin and replenishes the level of magnesium in the body. The magnesium helps to produce serotonin, a mood-elevating chemical within the brain that creates a feeling of calm and relaxation. Research shows that magnesium also increases energy and stamina by encouraging the production of ATP (adenosine triphosphate), the energy packets made in the cells. Experts believe that bathing with Epsom salt at least three times a week helps you to look better, feel better and gain more energy. Magnesium ions also help you relax and reduce irritability by lowering the effects of adrenaline. They create a relaxed feeling, improve sleep and concentration, and help muscles and nerves to function properly. An Epsom salt bath is known to ease pain and relieve inflammation, making it beneficial in the treatment of sore muscles, bronchial asthma, and migraine headaches. In addition, it has been known to heal cuts and reduce soreness from childbirth. Mix a thick paste of Epsom salt with hot water and apply to get soothing comfort. Try soaking your aching, tired (and smelly) feet in a tub of water with half a cup of our Ultra Epsom Salt. Epsom salt softens skin and will even neutralize foot odor. Studies show that Epsom salt can help regulate electrolytes in your body, ensuring proper functioning of the muscles, nerves, and enzymes. Magnesium is also known to be critical in the proper use of calcium, which serves as a main conductor of the electric impulses in your body. Epsom salt is believed to improve heart health and help prevent heart disease and strokes by improving blood circulation, protecting the elasticity of arteries, preventing blood clots, and reducing the risk of sudden heart attack deaths. Proper magnesium and sulfate levels increase the effectiveness of insulin in the body, and can help to lower the risk or severity of diabetes. Numerous studies have revealed that Epsom salt can be used to treat constipation. Taken internally, Epson salt acts as a detoxifying agent for colon cleansing. The salt acts like a laxative by increasing water in the intestines and can bring about temporary relief from constipation. However, it is strictly warned that Epsom salts should not be used to relieve constipation without the consultation of a physician. The sulfates in Epsom salt help flush toxins and heavy metals from the cells, easing muscle pain and helping the body to eliminate harmful substances. Your skin is a highly porous membrane and adding the right minerals to your bathwater triggers a process called reverse osmosis, which actually pulls salt out of your body, and harmful toxins along with it. For a detoxifying bath, at least once weekly add two cups of our Ultra Epsom Salt to the water in a bathtub and soak for 10 minutes. What are some uses of Epsom salt? Whether you like a relaxing soak or wish to enhance your beauty effortlessly, making Epsom salt a part of your daily routine can add a whole lot of goodness to your way of life. To experience the numerous health benefits of Epsom salt, take relaxing, stress-relieving Epsom salt baths three times weekly by adding 2 cups of Ultra Epsom Salt to a warm bath and soaking for at least 12 minutes. For the added benefit of moisturizing your skin, add 1/2 cup olive oil or baby oil. Do not use soap as it will interfere with the action of the salts. Try to rest for about two hours afterward. If you have arthritic joints, move them as much as possible after an Epsom salt bath to prevent congestion in the joints. For a foot bath, pamper weary feet by adding 1/2 cup of Epsom salt to a basin of warm water. Relax and soak feet for 20 minutes. If you like, rub away any calluses using a pumice stone. Dry feet, then add two drops of peppermint essential oil to your favorite natural moisturizer, like shea or coconut butter, and rub in thoroughly to lock in the moisture. If you are pregnant or have any health concerns, check with your doctor before using Epsom salts.